Let’s gather here, outside the Mansion House, near the entrance to the Guildhall, as we conclude this month-long experiment of a daily page based around an ‘April daily photo‘. The building is currently undergoing major renovation, so we can’t actually see this plaque at the moment, but as this is an imaginary gathering that probably doesn’t matter. 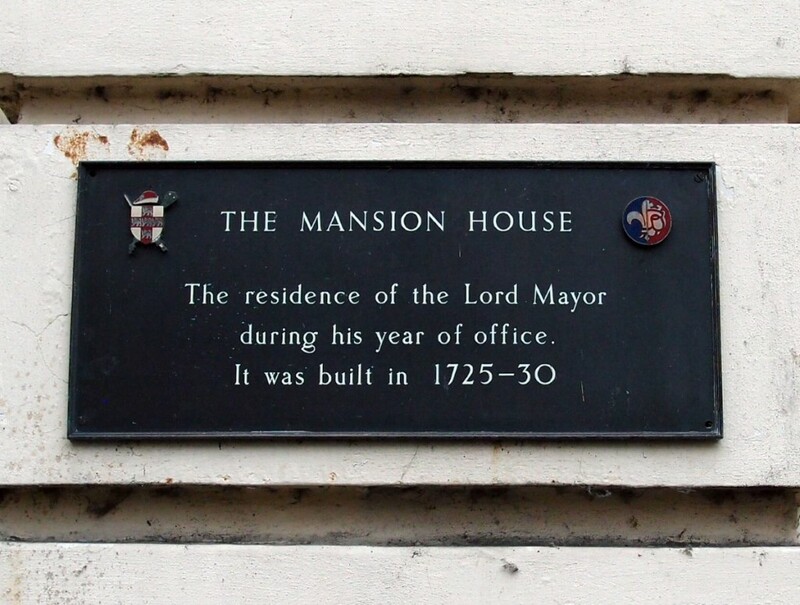 I took this photo of the plaque on the Mansion House on this day two years ago, after noticing its rather quaintly dated/somewhat sexist wording. It would be phrased differently now, with something a bit more inclusive and 21st century. ‘His or her’ or perhaps ‘their’. They’re expensive to make, these bronze plaques, so rather than replace it perhaps we could just write in ‘or her’ after the ‘his’, with Tippex. Because, as I’m sure we’re all aware, Lord Mayors aren’t all male, we have female ones too. I suspect that anyone who wasn’t aware of that before will have become aware of it in recent months, as the current Lord Mayor has been rather more ‘high profile’ than her predecessors. We’re about to launch into the jolly month of May, which sees not only Morris dancers dancing and cow parsley flowering but also the city’s ‘Mayor making’, when the city gets its new Lord Mayor for the year. This year it’s on 26 May, and will no doubt involve a procession similar to the one I wrote about some years back. In 2012 it was a particularly giddy and delightful May-time, with accompanying (and even more uplifting) celebrations for York City Football Club. Standing in front of the Mansion House, as we’re imagining we’re doing, we might remember the jubilant scenes and singing around an open-top bus, parked up here outside the Mansion House after a victory parade through the streets. No celebrations on that front this year. The Lord Mayor and the football team are both seen to ‘represent’ the city, in their different ways. Though we’re seeing a change of Lord Mayor I don’t know if we’ll see a complete change of personnel in the football team, and don’t pretend to know enough about that subject to have an opinion on it. But I hope that the city will be represented well in the coming year by its football team and its Lord Mayor. Best of luck to Dave Taylor, soon to be Lord Mayor, best of luck to York City FC, and let’s hope for a sunny day for the ‘Mayor making’.